1. 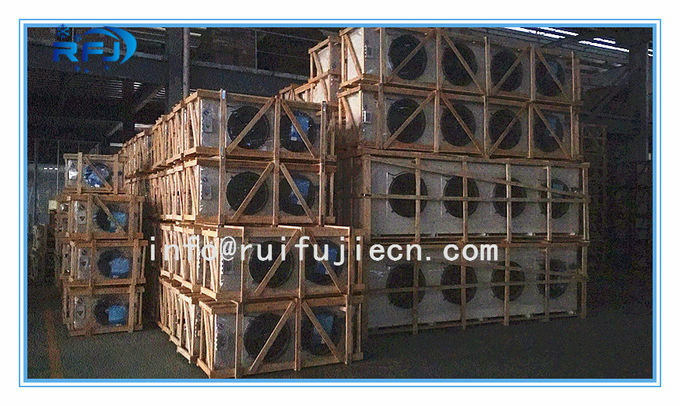 Panel and side plates are well constructed by using step structure, reducing the noise caused by fan and fan vibration. Water pan and side plate are easy to dismantle. 2. After treatment of phosphating and surface spray, the shell becomes corrosion resistance, smooth and acheieves a longer life span. 3. Automiatic molding process ensures dry and clean interior of the copper tube. 4. 2.6Mpa air tightness test satisfied product air tightness requirements. 5. Expaned by liquid pressure machine, the aluminum fin and copper tube are combined tightly and achieves a stable effect of heat transfer. 6. 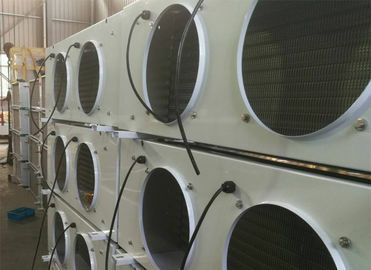 Fanmous brand fan and heat tube achieves stable quanlity, low noise, less energy consumption and high efficiency. 7. Slot type rack design convenien for installation. 8. All wires and plugs are connected in an electrical box, convenient for installation and maintiance. 9. Electric defrosting selects high insulation performance stainless steel heating tube. Reasonable distribution achieves short time defrost, high efficiency and low conomsuption.. Users can add module in the controller to realize the automatic defrosting control. Fast efficient deforsting and less energy cost.